After three days of brainstorming over barriers of women in accessing family planning (FP) services in the country, experts at the fifth biennial Nigeria Family Planning Conference (NFPC2018) demanded a review of policies and laws guiding FP services to reverse the trend. Making the demand at the Sheraton Hotel, Abuja, weekend, which began with a pre-conference event on December 3, with a focus on youth, women and faith-based entities, they said it is important to subject outdated policies and laws that limit access to family planning to judicial trials and pronouncements. The call was also contained in a communique issued after the main conference with the theme, “Investments, Innovation, Inclusiveness,’’ and held from December 4 – 6, with a total of 729 participants drawn from the 36 states of the federation including partners, donors and members of the International community. The participants said the government must match the country’s population growth with its economic growth for it to reap the gains of demographic dividends. They also emphasised the importance of developing family planning programmes that are context-specific and evidence-based, insisting on subjecting outdated policies and laws that limit women and girls rights to access family planning to judicial trials and pronouncements. The participants believed that the effort toward achieving the 27 per cent target of mCPR for all women must be deliberate and should recognising Family Planning as a key intervention toward ending preventable maternal mortality and reaping the demographic dividend. 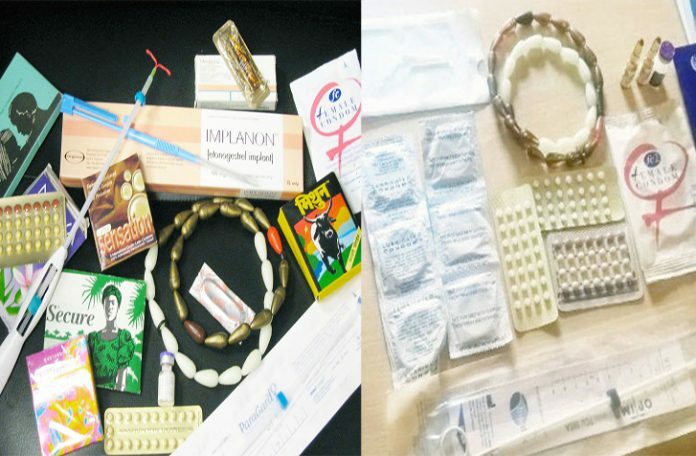 mCPR means modern contraceptive prevalence rate. They reaffirmed the role of people-centered good governance toward increased economic growth and increased delivery of quality health services. They said in the communiqué that while recognising the increase in data visibility for family planning programming, there was a need to develop a strategic framework to drive improvements in data management as well as reduce cases of discrepancies and help to enhance quality decision making in the delivery of services. The participants recognising the role of the private sector said there was need to improve synergy, coordinated networking as well as a partnership within the health sector. They also called for the maximisation of funding opportunities and increased service delivery to more women and girls. 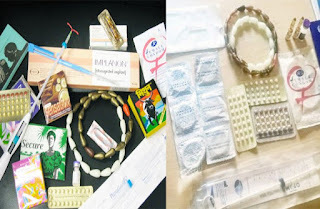 In appreciating the efforts of the Federal Government and some state governments in implementing the Task Shifting and Task sharing policy, they said that in spite of the increased funding for family planning programmes, there was need for additional effort for high-quality result. However, speaking at the closing ceremony of the on Friday, Dr. Osagie Ehanire, Minister of State for Health, said family planning could serve as a positive force to improve national planning and development. He said that the conference became imperative to convene family planning stakeholders to discuss and share experiences, ideas and innovation, including serving as a platform for identifying new issues. The minister said that Federal Government adopted the option of investing in family planning which he added had been proven to be a cost effective investment as well as lifesaving choice. He acknowledged that family planning has contributed to the building of the country’s economic potential and a positive step towards building a healthy and happy family. Ehanire said that every responsible country would make provision for its citizens, noting that the conference provided guidance to appropriate investment and innovations such as financing family planning services, among others. The minister who commended the AAFP, stakeholders and donor agencies, UNFPA, UNSAID, Bill and Melinda Gates for their continued support and investment in family planning, assured that the Federal Ministry of Health would continue to collaborate with stakeholders for effective services. In his on contribution, Sen. Olarenwa Tejuosho, Chairman Senate Committee on Health, called on the executive to release the additional $1 million dollars for family planning services. Tejuosho noted that family planning was a major contributor to Nigeria’s progress, for it would help to reduce the nation’s populace, warning that we would be heading to doom if families are allowed to continue to grow. However, Dr. Chris Ngige, Minister of Labour and Employment, said that the Federal Government would work with other partners to exploit the population of the country to an advantage. Ngige who delivered the keynote address to mark the 6th Annual Population Lecture Series (APLS) with the theme, “Governance, People’s Rights and Opportunities,” said there would not be a viable country without people, adding that the Federal Government was not afraid by the growing large population. He said that the ministry was working hard to increase the work force as well as reduce the unemployment rate of 18.4 per cent which he said was unacceptable. Speaking earlier, Chief Eze Duruiheoma, Chairman, National Population Commission (NPopC), said that the relationship between people’s rights and opportunities under good governance was that it created an opportunity for everyone. Duruiheoma explained that the APLS was an event that focuses on growing population issues, which called for the attention of policy makers. He noted that there was a leadership challenge for good governance such as lack of transparency, electoral reform, corruption, unemployment, security, and human rights. Duruiheoma appreciated other sister agencies and development partners for their contributions. Prof. Awa Kalu (SAN), Chairman of the occasion, said that governance was about people taking care of their rights, adding that good governance means harnessing the lives of people, people’s rights as well as opportunities. This is just as Dr. Eugene Kongnyu, UNFPA Acting Country Representative, said that governance means processes that produce results and results that meet the need of the society, adding that the needs of the people would be met when there are high resources. Represented by Mr. Osaretin Adonri, the UNFPA official, however, said that it was imperative to provide an enabling environment in to meet the needs of the people.